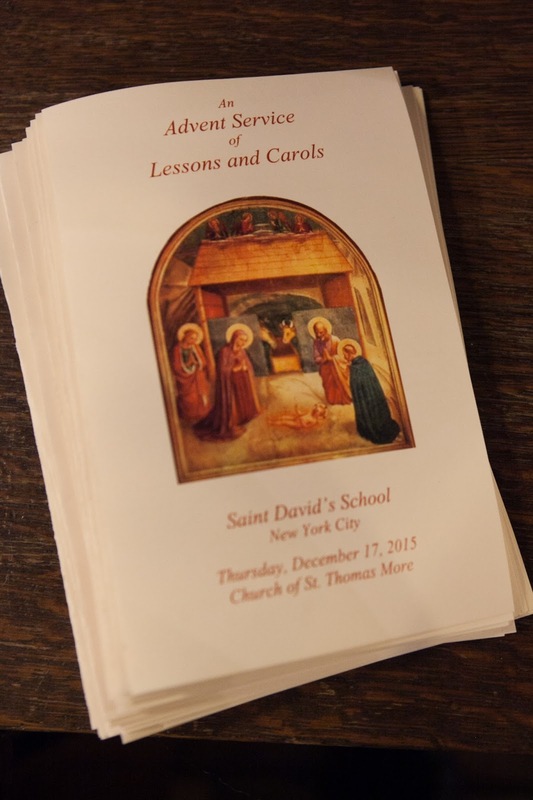 Last week, we held our annual Advent Service of Lessons and Carols in the Church of St. Thomas More. The church overflowed with families and faculty. The evening began with the Recorder Consort, in which several Saint David's alumni participated. 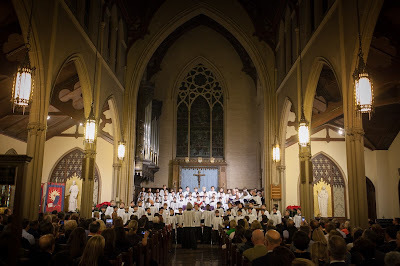 During the service, as is custom, our boys, faculty, administrators and trustees read several passages from scripture, while our Fifth and Sixth Grade Chamber Singers filled the church with the carols of the season. The messages in the lessons that were read, the beauty of the carols sung, and the presence of so many in our school community, never fail to move. 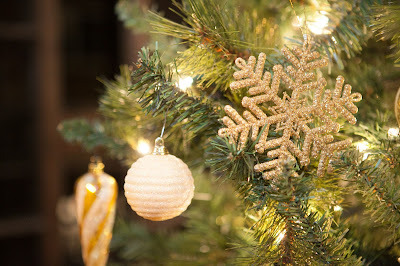 The evening holds within it what we believe to be most dear and true about Christmas. 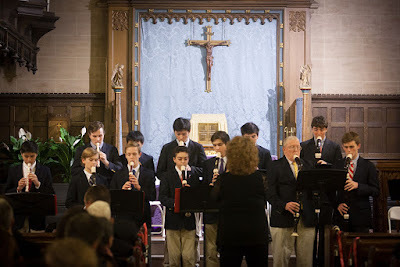 Our gratitude to Music Chair Jeff Moore, Choral Director Phyllis Clark, Religion Chair Jim Barbieri, and Recorder Teacher Susan Iadone for their efforts in bringing us this meaningful event. Christmastime is homecoming time. Each year it is wonderful to welcome Saint David's alumni and their parents back to their Saint David's home for some holiday cheer. As the Hume Library sparkles with Christmas spirit, alumni, parents of alumni, and faculty and staff mingle, catch up, and wish each other well for the holidays and new year ahead. The evening is also a special one because we announce the recipient of the Alumnus of the Year Award. 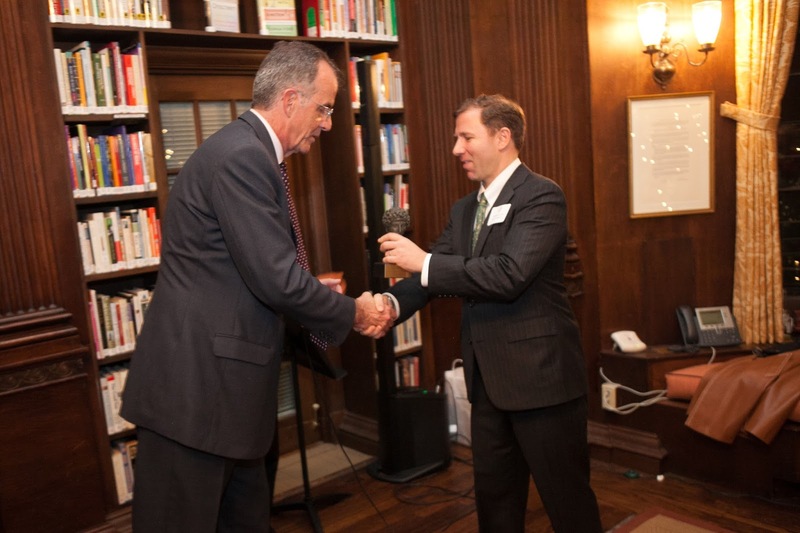 This year's award recipient was Marc Robert '74, who epitomizes the mission of this school...Ut Viri Boni Sint. Mr. Robert has worn several Saint David's hats--student, alumnus, father of alumni Oscar '08 and Nicholas '09, Alumni Council Chair and, for the last six years, first alumnus to be President of the Board of Trustees. 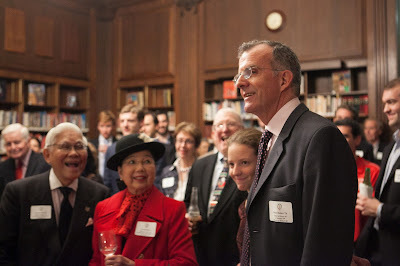 Following in the footsteps of his father, who served as trustee for many years in the 70s, Marc shepherded Saint David's through the public phase of the Continuing Our Best Traditions Campaign. He has been instrumental in our ongoing consolidation and expansion project. Marc has been visionary and dedicated, and his inter-generational relationship with Saint David's has provided an incredibly valuable and insightful perspective. In accepting his award, Marc spoke about the "intangible quality" at Saint David's which bonds us, and commented on how unique it was that his sons had some of the same teachers that he had had as a Saint David's boy. I also have been impressed by how many times people approach me at gatherings such as this to make note of the same thing: that our little school is so much more; there is a deep sense of connection to and love for the school; it embodies the warmth and care of home. You could feel it in the Hume Library Monday night. What better way to celebrate the Christmastide? 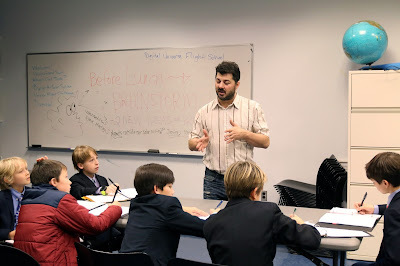 The second year of our unique partnership with the American Museum of Natural History-Hayden Planetarium kicked off on Friday when the sixth grade had their first session of the Digital Universe unit. The session included a private viewing at the planetarium in which boys were able to explore the entire universe. 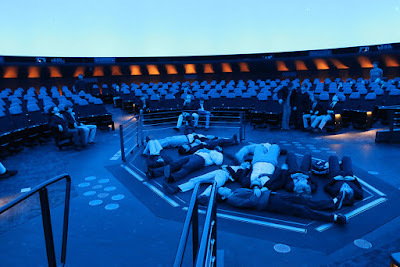 They and their teachers were invited to view the show from the vantage point of the floor in the center of the round theater, staring up into the apex of the dome. What an amazing perspective! Museum educator and astro-visualization expert Nathan Belomy took the boys on a tour of the observable universe, allowing them to get a feel for the scale of distance and size in the universe. 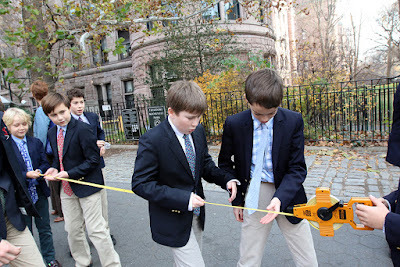 In a fun activity related to scale, the boys set down a volleyball (representing the sun) at 79th Street, and walked for blocks down Columbus avenue with the planets in our solar system represented by a variety of smaller objects – a cupcake sprinkle, a marble – predicting and then measuring and accurately placing the “planets” at their correct distances. The boys also had a quick tour of AMNH's proprietary UniView software, which they will use to navigate through space using real-time astronomical data. 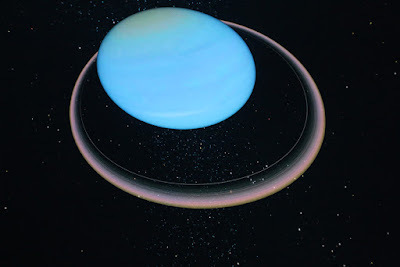 By the end of this unit, our boys will have researched astronomy-related questions, written, and created their own space shows that explore their topics, and presented them in the Hayden Planetarium for their parents. 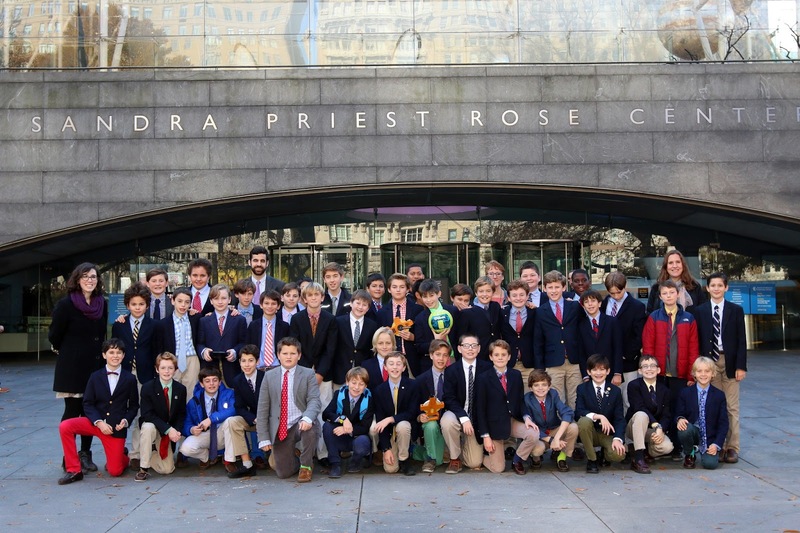 One of the many ways that an education at Saint David's moves beyond 89th Street, our collaboration with the AMNH-Hayden Planetarium is a one-of-a-kind partnership between the museum and a school. It is a deeply integrated ongoing collaboration of our teachers with the museum's educators and astro-visualization team, which provides our boys with private access to the planetarium and the Digital Universe software. An amazing STEAM experience!